Behind the wheel training may be the most important part of a driving school. Behind the wheel driving school is when students get in an actual car and put what they’ve learned online or in class to work. 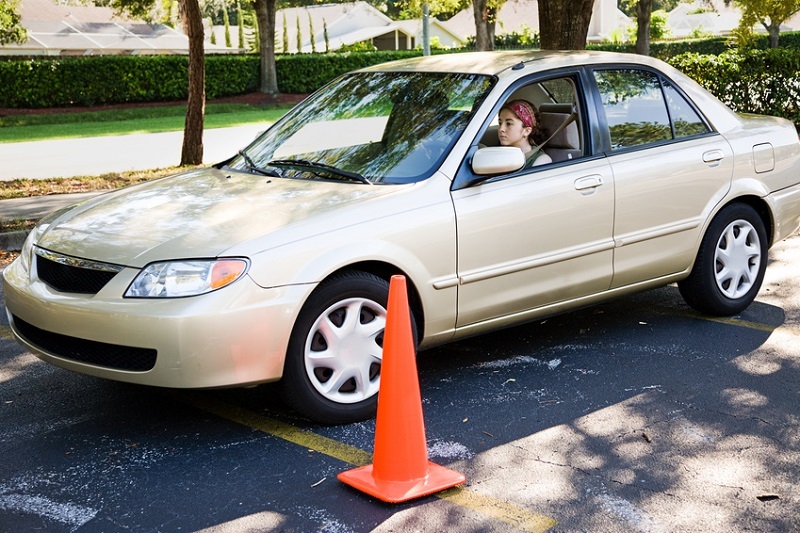 While most driving schools offer behind the wheel training, some don’t cover defensive driving. In fact, some schools charge extra for defensive driving. 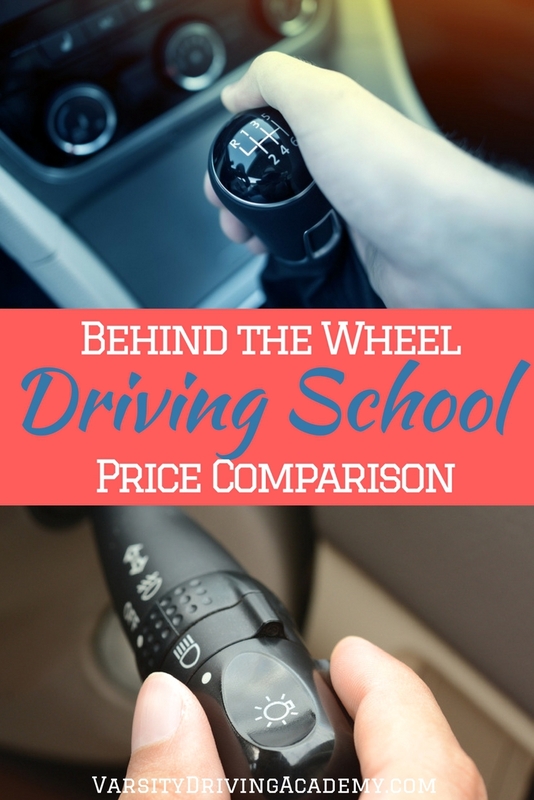 It’s important to know what you’re paying for before you sign up for any driving school. Every behind the wheel driving school offers different types of lessons at different prices, compare them all to help make the right decision. The DMV requires all students who are getting their license for the first time to get at least 6 hours of behind the wheel training. Training needs to be done by a professional, plus, at home hours are recommended. At Safety 1st Driving School, behind the wheel training costs $115 for 2 hours and $345 for 6 hours. There is also a free pick up and drop off service that is included in their packages. With Varsity Driving Academy, students get free pick up and drop off as well, at every package. We offer hourly packages starting at 2 hours for $125, 4 hours for $250, 6 hours for $300, 8 hours for $389, 10 hours for $475, 12 hours for $559, 16 hours for $728, 20 hours for $889, and 30 hours for $1,299. Most driving schools offer similar lessons once behind the wheel. These lessons include things like driving on busy streets, highways, and how to park. At Teen Road Safety, behind the wheel sessions come in four different priced packages. The 2-hour package is $175, $750 for 10 hours, $1,250 for 20 hours and a $100 pre-drive test hour. The DMV requires 6 hours but Teen Road Safety only offers 6 hours in their bundle package. The bundle includes the classroom and 6 hours of behind the wheel training for $625. 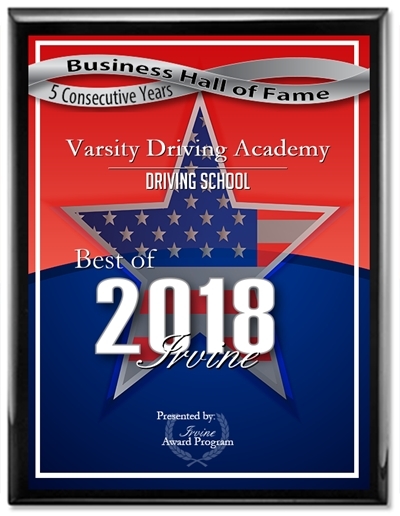 Varsity Driving Academy also has different hourly packages available starting at 2 hours for $125, 4 hours for $250, 6 hours for $300, 8 hours for $389, 10 hours for $475, 12 hours for $559, 16 hours for $728, 20 hours for $889, and 30 hours for $1,299. A to Z behind the wheel driving school offers lower-priced options for those who don’t want to overspend on training sessions. However, A to Z offers everything at separate charges. For 2 hours of training it’s $90, $180 for 4 hours, $270 for 6 hours, $360 for 8, $450 for 10, $540 for 12, $630 for 14 and $720 for 16 hours. These do not include the actual online learning sessions. At Varsity Driving Academy, sessions start at 2 hours for $125, 4 hours for $250, 6 hours for $300, 8 hours for $389, 10 hours for $475, 12 hours for $559, 16 hours for $728, 20 hours for $889, and 30 hours for $1,299. Masterdrive is another school that offers different techniques within each of their packages. The base package offers defensive driving and basics. But the mid-range package adds crash avoidance, braking, and dynamic control. The highest tier package offers all of the above plus skid pad, wet braking, and skid correction. The base package costs $515 with 6 hours of training, the mid-range is $885 for 6 hours, and the top tier package is $1185. To make the packages more affordable, MasterDrive has payment plans available for those who qualify. Varsity Driving Academy offers a 6-hour package which also includes the classes for just $295. At Varsity Driving Academy, we don’t pick and choose what we teach our students. Our goal is to provide private lessons for each student that will give them the tools they need to remain safe. Defensive driving, parking, highway training and more. We also offer different hours but our class and training package is $295. To add hours to your base package or to just get hourly training, we offer 2 hours for $125, 4 hours for $250, 6 hours for $300, 8 hours for $389, 10 hours for $475, 12 hours for $559, 16 hours for $728, 20 hours for $889, and 30 hours for $1,299. Each session lasts for two hours until the total amount of hours is reached. We also offer free pick up and drop off services for each package as well.